Your back is the one part of your body you can’t see, but it doesn’t mean you’re not concerned about how it looks. 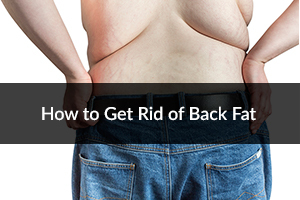 If you have back fat and you want to get rid of it, chances are that you don’t even know where to begin. But fear not. 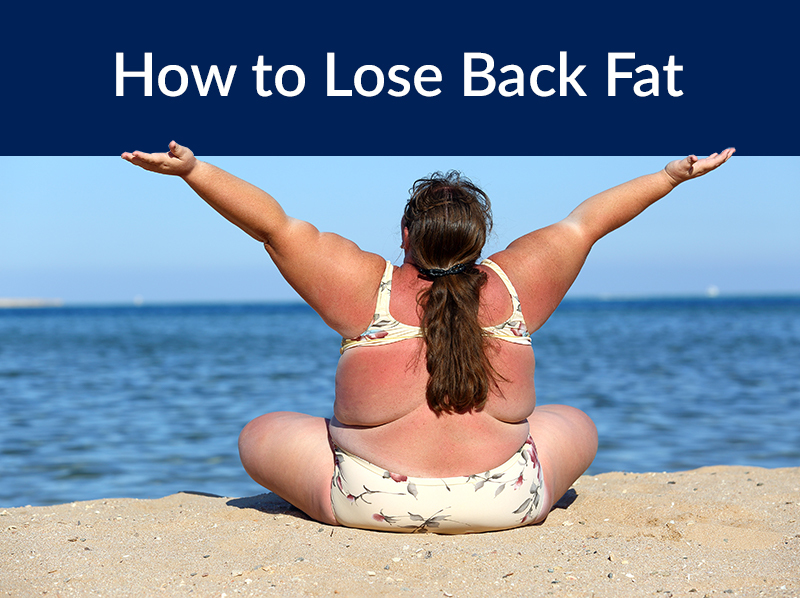 This article will tell you what causes back fat and how to get rid of it fast, so you can focus more on your toned body and less on covering it up. How Does Back Fat Accumulate? Body fat, and specifically back fat, accumulates from prolonged periods of poor diet and a sedentary lifestyle. Body fat deposits can show up anywhere on the body, but for most people, their back is one of the last places they see a significant amount of back fat. Poor posture can also be a contributing factor. Slumping over, whether at home or in the office, can lead your back to become weak. This makes back-strengthening exercises even harder. So is it possible to lose back fat fast? Yes, but only if you’re willing to put the time and effort in. As with all training regimens, consult a doctor before taking on this advice, and make sure you’re in good enough health to attempt this. The first thing that will have to change in order for you to lose back fat is your diet. Getting rid of junk food and investing in a clean diet is critical for you to continue to see the changes that you would like to see from your body. If you drink diet soda, sugary drinks, or alcohol, say goodbye to them for now. Also get rid of any processed foods, candies, or pastries you have in your home. Focus on meals that are made from whole foods, and take special care to get enough protein and fiber from your diet. One way that a lot of people cut fat is a ketosis diet, which is a low carb, high fat diet that is designed to put your body into a perpetual fat-burning mode. When combined with moderately intense exercise and a strength-training program, it is a great way to see results. 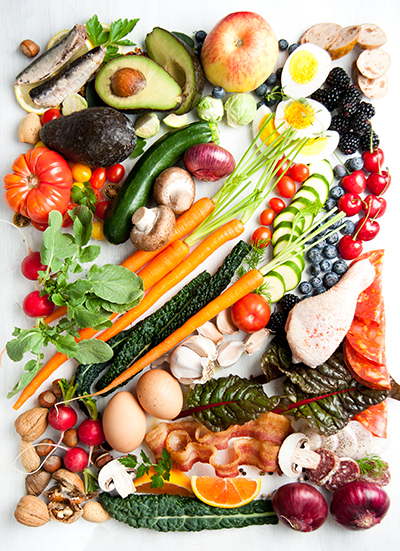 However, the ketosis diet is not for everyone, so just try to limit your carbs to less than 100 grams a day. Just this one change will allow you to see results in just a few weeks. When it comes to learning how to lose back fat, you can never underestimate the power of cardio. 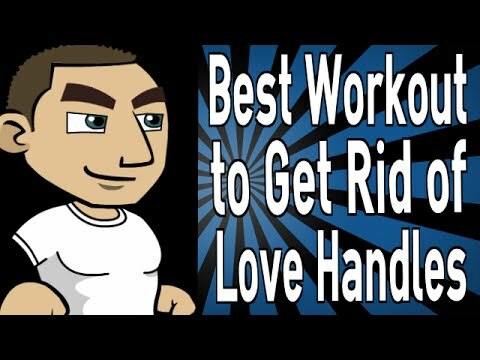 Because it is the first and foremost way that anyone burns fat, you will have to incorporate cardio into your workouts five times a week at 60 minutes a session. It doesn’t matter what type of cardio you do, so long as you push yourself to do better than the session before. Ramp up your intensity or speed, and try to take less breaks. The harder your cardio sessions, the faster you will see results. The back is separated into four large muscle groups, and it can be hard to strength-train alone. The good news is that by training your back along with other muscle groups — like your arms or shoulders — you will give the appearance of a leaner back faster. For those who want to learn how to lose upper back fat, try focusing on weight machines in the gym that focus on the shoulders and upper arms. These usually incorporate the upper back as well. For those who want to learn how to lose lower back fat, yoga is a better alternative, which allows you to focus on balancing and holding poses for a significant period of time. Boxing and rowing are also great exercises for the back, toning your whole back for a lean look. Choose your favorite workout and get to it! 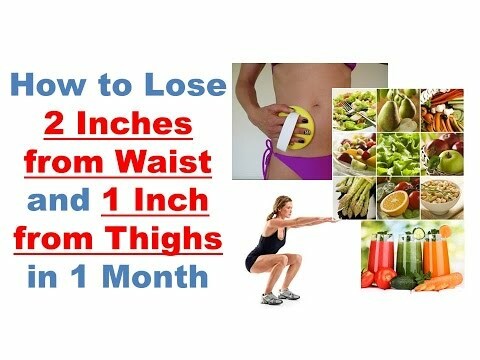 The fastest way to see results when you want to lose back fat is to use a combination of very intense workout sessions along with a nutrient-dense nutrition plan that cuts out all processed foods, sugars, alcohol, and so on. It will be a hard week or so, but once you see results, you’ll be wondering why you waited so long. Another tip on how to lose back fat fast —focus on your posture. Most people have terrible posture, and just taking a few minutes or so each day to fix your posture can help your back fat efforts in the long run. By sitting up straight just ten minutes a day, you can help train your back to be stronger in less time. The road to seeing full results in your quest to get rid of back fat may seem longer than you expect, but the results will be more than worth it. By learning how to lose back fat fast, you are taking the first step in a journey that will see you enjoying a slimmer you in no time.